Pastor Cathy Lynn Johnson has ministered along side Bishop F. Josephus Johnson, II for over 40 years. She was born in Barberton, Ohio and raised in Akron, Ohio. Pastor Cathy is a graduate of North High School. Pastor Cathy is one of the four original members of The House of the Lord, founded 40 years ago. She has been an intricate part of the development of the ministry. Over the history of the church, Pastor Cathy has served in a variety of capacities including the Celebration Arts, Nursery, Baptism, Benevolence, Tape Ministry, and as a Trustee. 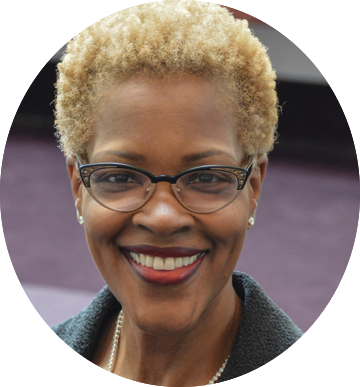 She is an Elder, and the Director of the Women Walking Together In Christ Ministry (WWTIC) where she has ministered to thousands of women throughout Northeast Ohio and beyond through her weekly Bible Studies, Prayer Breakfasts, Women Conferences, Pastor Wives Summits and a heart to hear women. Under WWTIC, Pastor Cathy has facilitated many ministries during the past forty years. She is the Pastoral Advisor for Intercessory Prayer Warriors; Greeters; Ushers; Welcome Centers, Pioneer Girls, Diamond in the Rough, and Naomi and Ruth as well as assisted in the development of women ministries in other churches. Pastor Cathy has a heart for women and a desire to see the whole woman ministered to, she has hosted Health Fairs, Back to School Fairs, College Fairs, and other activities that ministers to women and their families. Pastor Cathy has trained in Lay Counseling under North Coast Counseling Family Practice, the American Association of Christian Counselors Caring For People God’s Way Lay Counseling and Extraordinary Women Women’s Ministry. She is also a certified Grief Recovery Specialist. She attended Logos Bible Institute where she received a certificate in Systematic Theology, as well as Johnson Leadership Institute of The House of the Lord. Pastor Cathy has a Certification in “A Framework for Understanding Poverty” by Ruby Payne. In addition, Pastor Cathy also serves as a board member of Emmanuel Christian Academy. Pastor Cathy is a noted conference, retreat, and workshop speaker. An anointed singer, Pastor Cathy serves as a worship leader and concert singer. She has sung with Babbi Mason and has opened for various gospel recording artists, including The Winans, Commissioned, Take 6, Larnell Harris, Whitley Phipps, CeCe Winans and Tamela Mann. In addition she did a solo benefit concert for Emmanuel Christian Academy who serves children who historically have been defined as at risk. She also was a featured guest on The Chat Room, a women’s talk show sponsored by “THE WORD” Church as well as a musical guest on FOX 8 News in Cleveland, OH. She is the recipient of numerous awards throughout the community and recognized for Community Service with Black Pages of Cleveland, the Humanitarian Award for Service to Summit County Community from Legacy III; The Women of Light Award for Service in God’s Kingdom and most recently along with her husband Bishop Johnson she will be honored for her community service by Project Grad Akron.